The MIDI Bank Change has been fixed on Moog Model D with the latest update. Apparently it was only responding to CC00 and not CC32. Now sees both. I only knew it wasnt working before LOL. I can confirm this appears to be working properly now. Nice! Thanks for the news. AudioKit Synth One supports Bank Select via MSB. That's awesome! Top man Matt! Congrats on the release. 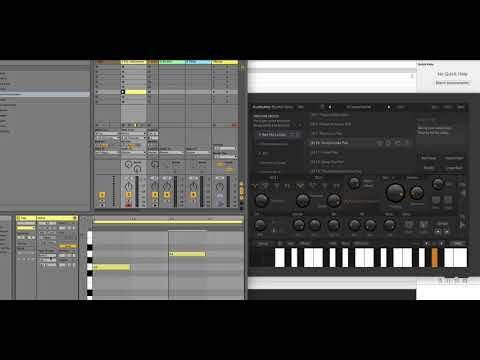 Massive sounding Synth! I'm finding a couple of midi issues though. 1) My controller does not show up in the app. And I'm having to link it to Synth One via AUM's midi matrix. It's connected via usb lead and CCK. I've not had the controller fail to show up before, so I'm not sure what the issue is. With this current connection it shows up in another half dozen apps I've tested this evening. 2) Once connected via AUM, the Program Change is working well, however I'm not able to do Bank Change. 1) My controller does not show up in the app. Thank you. 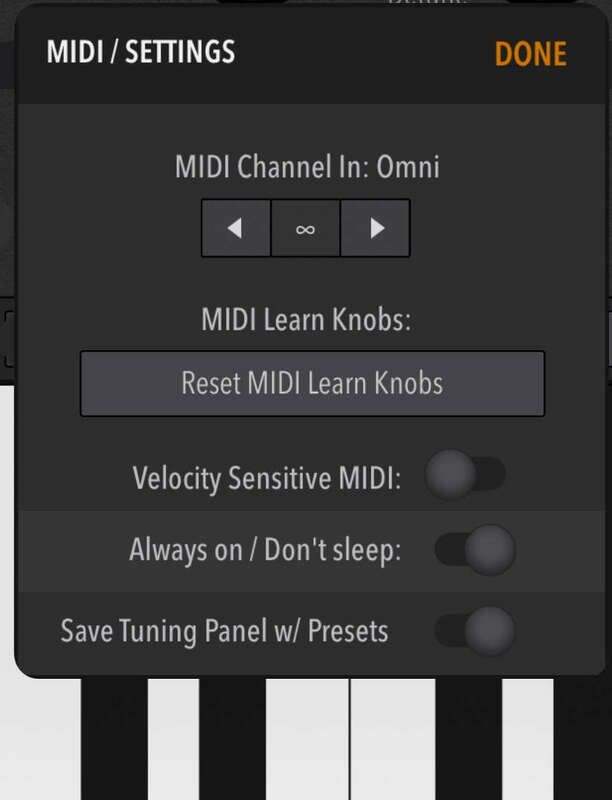 Have you selected all the available midi inputs in the “settings” button and it still doesn’t work? Hi Matt, yeah when I went to settings, the controller just doesn’t show up in that list. Did you check everything else in that list? Hi Matt, I did. Everything I connect shows up and can play the keys. Except the X-Station. The only controller of mine that is NOT being recognised by Synth 1 is the X-Station. However if I connect these via a Yamaha MD-BT01 (bluetooth dongle) S1 does recognise and connect. The X-Station models also have audio interfaces, so I suspect that this could be at least part of the reason? Even when connected, I cannot seem to get Bank Change working. Is this using MSB 00? Ok, just found that X-station is in the list but is not listed. There is an empty name slot at the beginning of the list and only found it by accidentally ticking the empty space. Bank Change not working though. Thank you @SpookyZoo, we're looking into it. Is the "-" in the name causing a problem? I cannot seem to get Bank Change working. Thanks for your patience. It's been a busy week. If you're sending on MSB, can you try LSB? Pretty sure my controller sends CC0 val 0, then CC32 with value for the bank. CC32 being the LSB. Is there a new version out to test? Had to replace my lost iPad this week (aaaaggghhhh tears) so may need to redownload. We haven't changed the Bank select code. So, you should be good. Hope we can figure this out for you. Had to replace my lost iPad this week so may need to redownload. Glad you were able to replace your iPad! It took cash savings though. Heartbreaking! Anyhoo, just tried again and seems like a backward step. For my scenario at least. The controller doesn't even get listed with no name now. It's just not there. I still can only connect via other means, in my case AUM midi Matrix. I still can't get Synth One to recognise the Bank Change although PC is working. Well done on the great work, people love it. But I guess I'm just not meant to use this one! I still can't get Synth One to recognize the Bank Change although PC is working. Drat! Sorry this is giving you so much trouble. 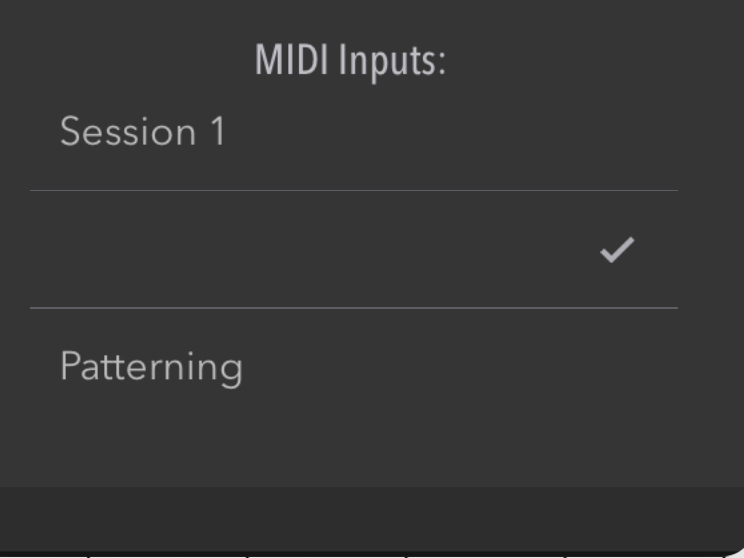 Has something changed with the connected midi device list? Should it still be visible in the settings tab? Can you let me know which MSB & LSB values you used for your bank change? If they’re different to the X-Station, I could use StreamByter to remap them. Thanks in advance. Great question. 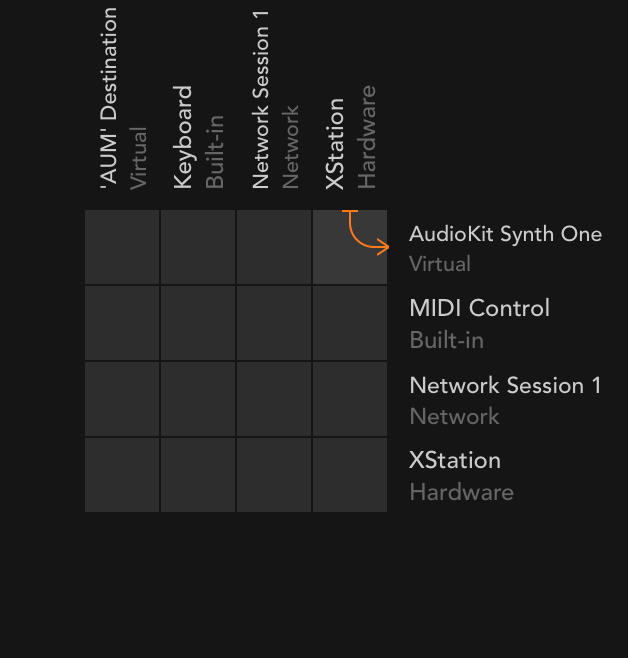 Synth One will now automatically connect to every MIDI device it detects. 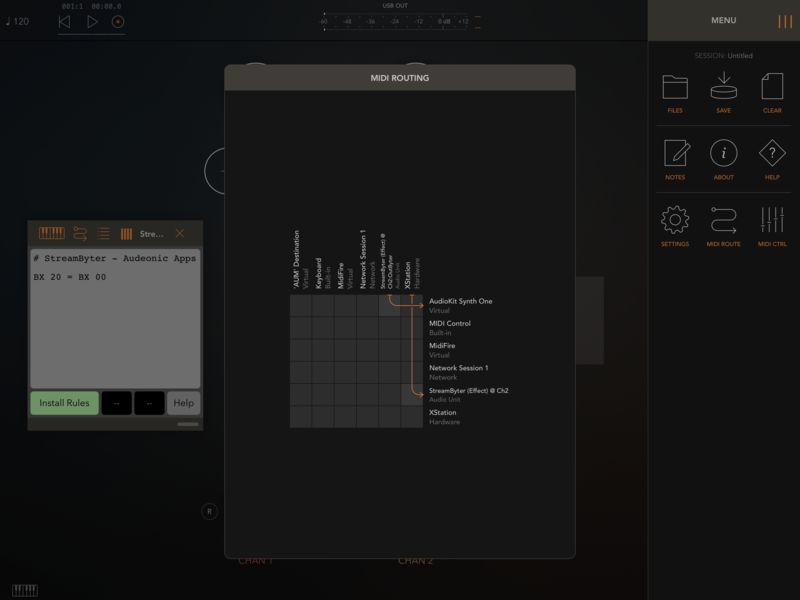 Making it more plug-n-play for users who may not be as familiar with iPad Synths. The device list was depreciated. Synth One uses MSB only, cc0. Btw, Synth One responds to MSB for bank change. 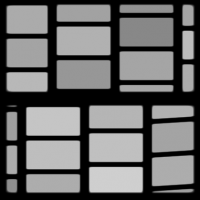 Set up a Midi Designer template for preset exploring and just tried MSB and LSB and MSB is what Synth One reposes to. That would explain why sending the LSB isn’t working. Spooky, it looks like you are sending MSB 0 then an LSB bank number. The result would that it would switch to Bank 0 (1) When you send those commands. MSB is working fine on my rig. Ah ok, how it was before I could at lest connect by ticking the blank name in the list. I’ll just have to connnect via AUM. Or Bluetooth maybe. No biggie. Thanks guys. I’ll see if I can get StreamByter to remap for me. Looks like I’m gonna have a dedicated SYNTH ONE - AUM preset. Thanks for testing this. Glad it is working! Thanks. And, sorry for the confusion. Thanks for your patience! Just a little note re: Bank changes in Sunrizer for iPad. Also, Sunrizer ignores certain banks and automatically duplicates a couple of banks that are already in the bank list (Default and something else that I can't recall now that I'm away from the app). It really doesn't seem to make sense. It ignores my 'Favorites' bank too...which is really useless. Love the sounds but it all seems kinda clunky if you actually want to access presets for live use via a MIDI controller. Has anybody solved this Sunrizer bank changes problem with 100% success? Pet Peeve: Moog Model D. If you edit a preset and save it, the app sticks the new preset right after the one you used to make it from, bumping all other patches in that bank up one. Causing you to have to change any references to any patches after that. I just figured out how to create a user bank just now but does anyone know if that messes the bank numbers? It puts the new bank in alphabetical order with the others.